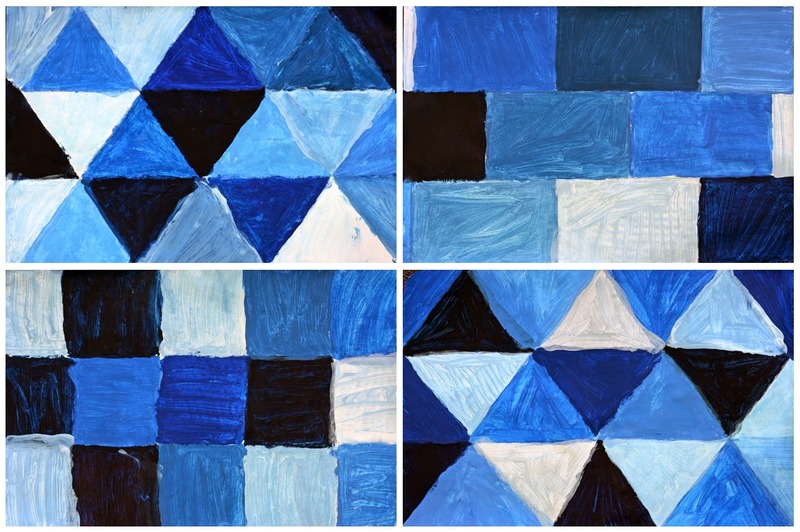 Year 6 painted these "Geometric Blues" after watching a documentary with footage of scientists SCUBA diving underneath the ice in Antarctica. The colours were amazing. These were obviously inspired in more of an abstract than representational way. Using lead pencils, the students began by dividing their paper into three equal segments. Next, they chose to fill each section with the same repeating shape (either squares, rectangles and most popularly, triangles). 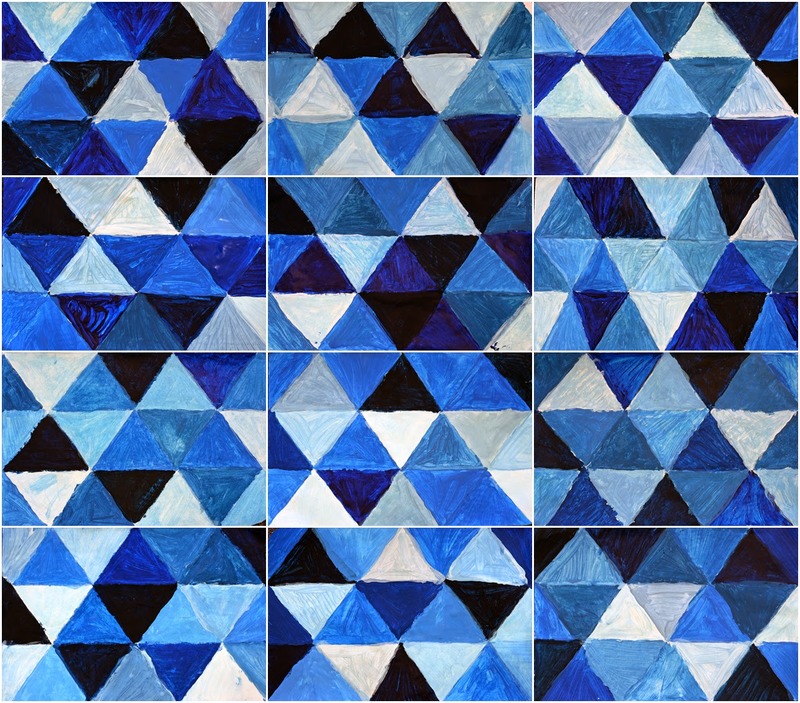 Finally, we used blue with black and white to mix and paint the various tints and shades within each shape. 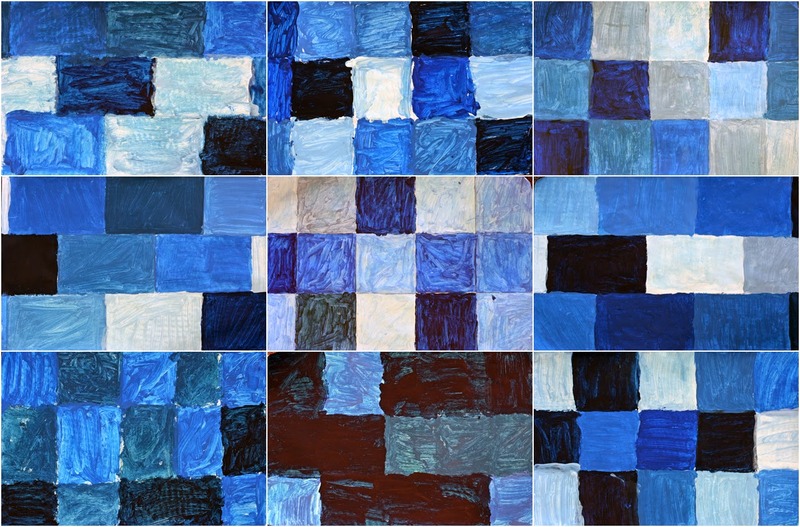 They looked great together on the class wall and the blues were especially relevant with their Antarctic theme at the time, but I'm hoping to repeat the lesson some time soon and have each student choose their own colour to make tints and shades with — I'll keep you posted! Love these - they kind of remind me of the camo paintings we both did a couple of years ago. I think I will revisit this year, maybe simplified a bit. Nice! Time sure flies, I often mean to revisit a lesson but rarely find the time!